3" x 2-3/4" door one on the small cage. flat 3/8" wide metal perch inside each cage. 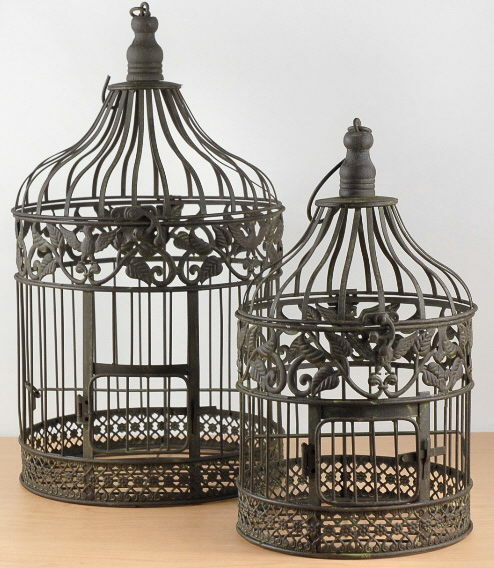 * Please call us for any questions on our bird cage set 2 brown rentals in Hagerstown MD, Williamsport MD, Martinsburg WV, Waynesboro PA, Mercersburg PA metro areas.